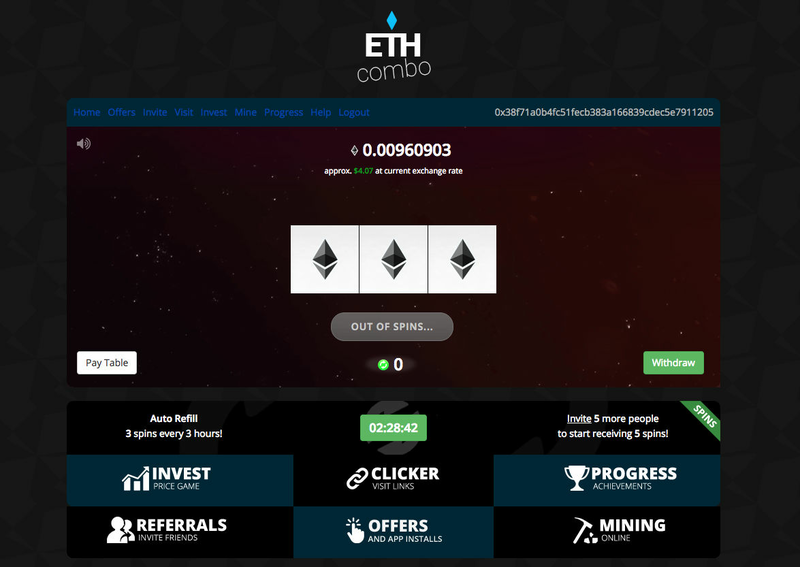 ETH Combo is a free Ethereum based slot machine allowing users the ability to use 50+ free rolls every 3 hours. Play an easy to understand 3 reel slot machine without making any deposits at all. Simply input your valid Ethereum wallet address and start playing.